← The Lord Has Done Great Things For Us! This year I turned 50. This was not something I looked forward to (becoming half a century old) but when I realized that 2015 (or the Hebrew year 5775) is a “Jubilee” year my first thought was, “Wow…double portions!” I began to hear the Lord say that this would be a double portion year and then it was confirmed as I began to hear other prophetic voices saying the same thing. 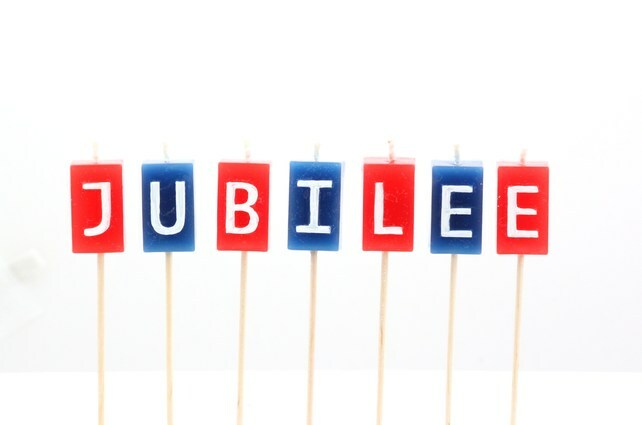 Whether you are 50 this year or not…this is a year of JUBILEE! Debts paid, lives restored, dreams fulfilled and rest for the weary. This is not only your Jubilee year but your double portion year. God is giving double for all your troubles. Come into agreement with Heaven’s declaration and begin to receive all that the Lord is offering to His people at this time. I feel as though between now and March 4th we will see many enter into significant break through. The Lord highlighted March 4th as a time to “march forth in your victory”.